Here are the links for a version 2 and 1 of JanjGrandPrix_3. Entirely made by me, more than 5 km, ascents and descents as well as tight turns and other very fast. For the creation of this track i have been inspired by many other tracks, i wanted to have as much as possible of different curves. The esses: thought about circuit of the america and others. Stadium double left: tought about misano (old version). I hope you wil enjoy riding at this track. For those who desire modify, I can give them the 3ds files. Thank you and good ride. 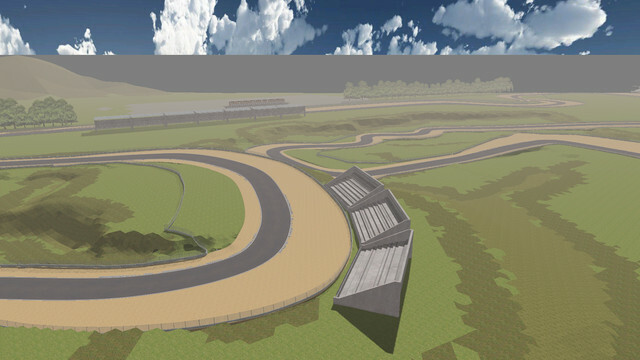 You may want to put a picture of the track layout in the first post. Ok thanks i will do it. Thanks janaucarre, i'll dl it and run to try it on the Vin97's Academy ! 2. 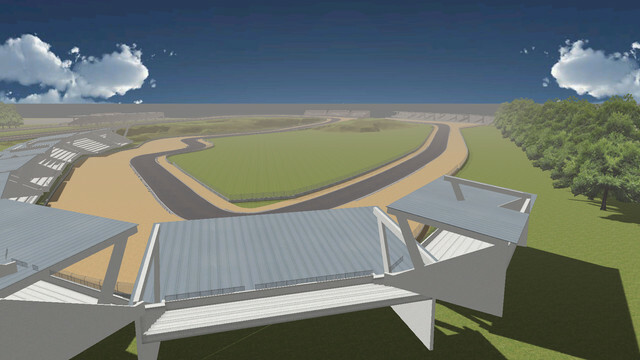 The "Esses" before the big stadium, i don't know if it's really necessary Great place to have a strike during a race. 3. The length of a circuit makes it like old tracks and its good, it's full of everything, and the long strait is short enough to not loose attention. 4. The only thing that really is annoying to me (imho) is the grey borders, they are awfull, you can't put your tyres on them without hoping to stay on your wheels, even using them to fast pass like the one on the second corner in the stadium, if you pass over it, fast, it takes you out. 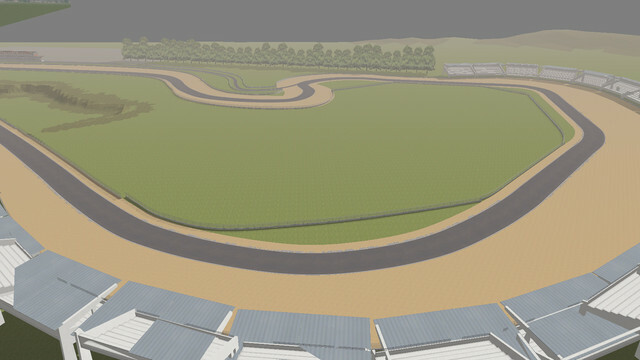 For example, i like the ones from Jerez V0.9 they are "parts" of the circuit. Thanks again for all that work, and even if i have the guts to critisize, i know that i couldn't be doing 1% of what you did, and it's a lot of work so nice job janaucarre. A long post in this forum has been written about the fact if kerbs must be flat or not, do the kerbs be adapted to the bikes or the bikes must be adapted to the kerbs, It's a long story. 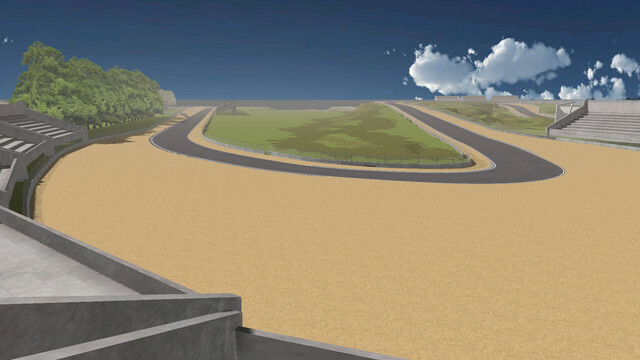 For this track and the news about gpb14 i've decided to not flat kerbs until gpb new release, after that we will see. If you like so much kerbs from jerez, me to, it is because they are completely flat like a mirror. Thank you for this reply and not taking my remarks as a bad criticism. About the "kerbs" (vibreur en Français), they are really a pain and that a killer for me. To me it's sad cuz it kills the track. But that's only my point of view. And if you want to change thme, i guess it will be a lot of work so it's probably dead. Too bad. It's a very technical track and it's great. Keep up !! super travail comme d'habitude !!! Yesterday evening i decided to begin the flat kerbs, about 2 hours and only half done. 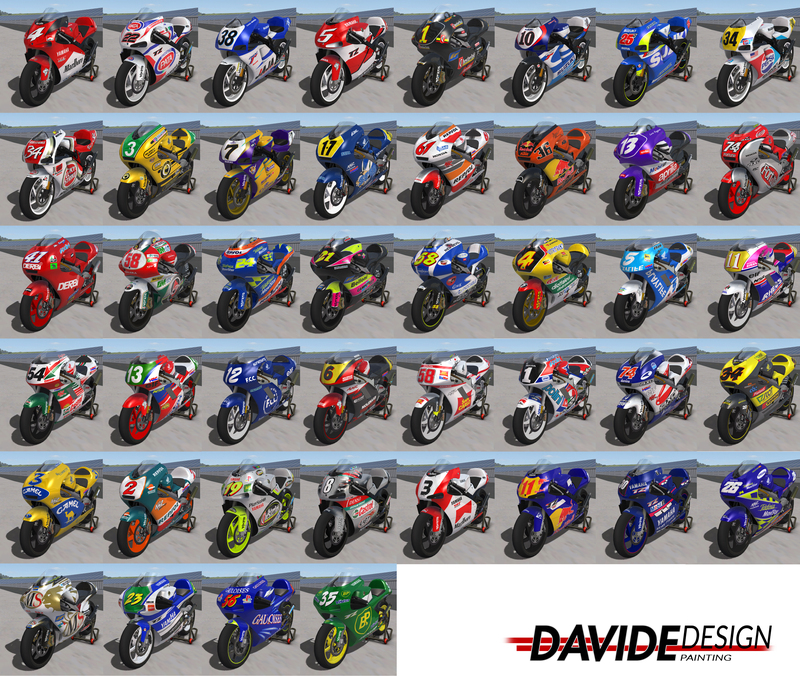 Add start and pit lights, you will SEE the green lights everywhere you will be on the grid ;-) (a bit special). Ive found a hole (little) on the straight between the end and the start of the asphalt. After that marshall and cams will be added. NDS and DS will be made. Perhaps 3d grass will be added. Start line will be added.